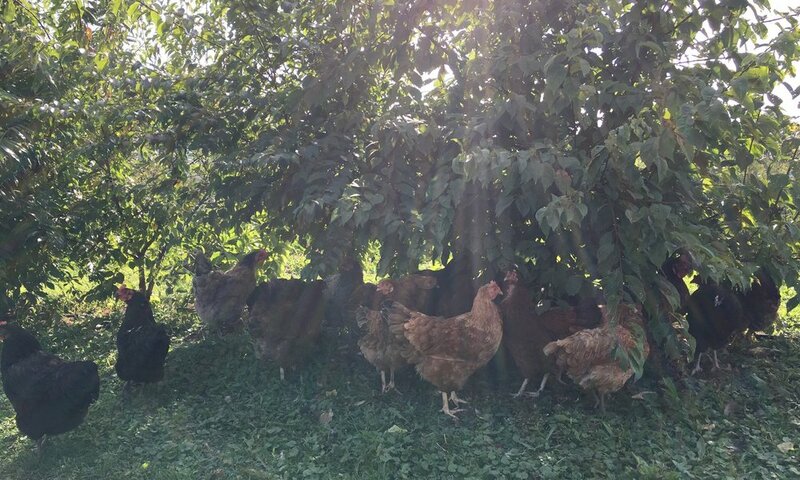 Our philosophy of small-scale family farming and permaculture has revolved around the chickens, and the way we treat them describes us. We signed the NOFA-NY Farmer’s Pledge, which is broader than organic standards. Our hens are relaxed, yet busy. 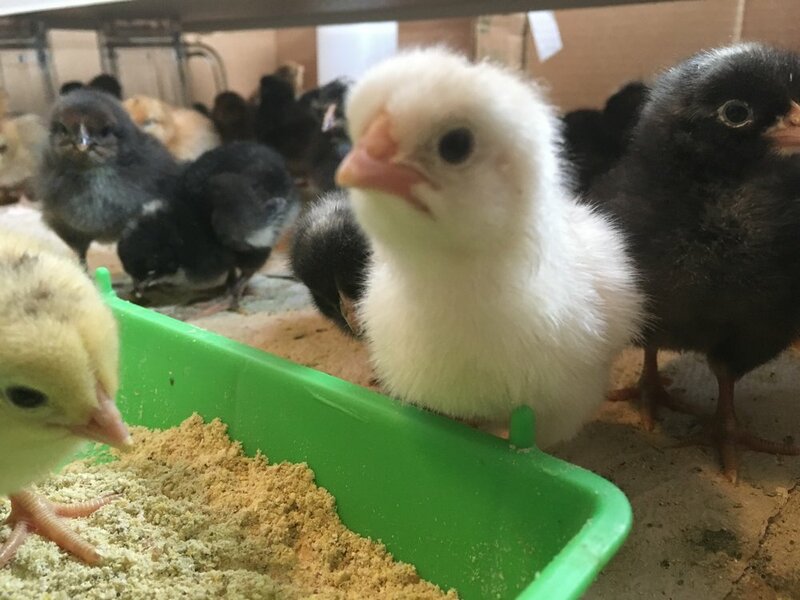 They are "free to be"- to be broody, to wander the farm by day (excepting hurricanes and blizzards) and to run under bushes and into doorways to hide from predators. We limit stress by providing an abundance of food and water stations, nest boxes, and perches at a single height. Our care equates to their health, and so to nutritious eggs. The taste of eggs correlates with their high nutrition; the yolks of Skyhill eggs stand high and firm, the whites fluffy and flavorful. We know our organic grain suppliers; they grow and source grains to avoid GMO contamination. We also feed custom no-soy rations for optimal nutrition and safety. Our eggs (2,800 dozen annually) sell quickly and have been even wait-listed.